How to place two div side-by-side of the same height using CSS? In image mapping an image is specified with certain set of coordinates inside the image which act as hyperlink areas to different destinations. It is different from an image link since in image linking, an image can be used to serve a single link or destination whereas in a mapped image, different coordinates of the image can serve different links or destinations. There are three basic html elements which are required for creating a mapped image. Map : It is used to create a map of the image with clickable areas. Image : It is used for the image source on which mapping is done. Area : It is used within the map for defining clickable areas. Determining the size of the image is very important because if the size of the image is changed then the area coordinates will also require updation. It can be done in three shapes which are rectangle, circle and polygon. Coordinates can be found easily by using MS-Paint. Put all the above steps together as done in the code below. 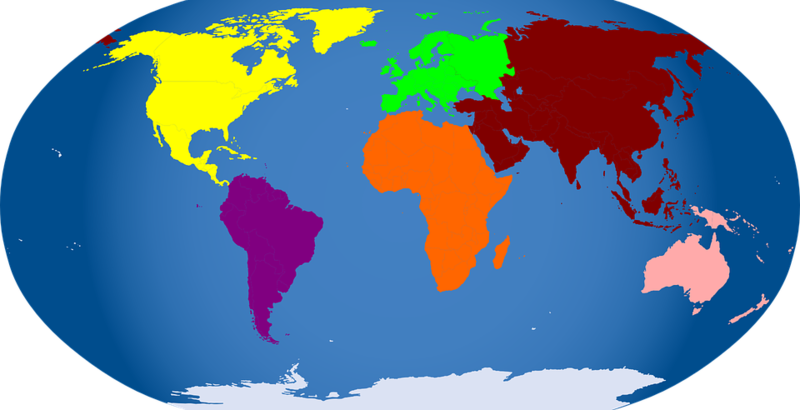 <area shape="rect" coords="184, 36, 272, 158" alt="north america"
<area shape="rect" coords="282, 215, 354, 367" alt="south america"
<area shape="rect" coords="506, 151, 570, 333" alt="africa"
<area shape="rect" coords="618, 42, 791, 162" alt="asia"
<area shape="rect" coords="509, 44, 593, 110" alt="europe"
<area shape="rect" coords="786, 288, 862, 341" alt="australia"
<area shape="rect" coords="249, 463, 760, 488" alt="antartica"
Set the size of background image using CSS ?